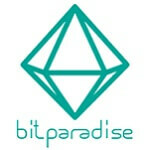 BBit Paradise (BPD) is a new, innovative form of cryptographic exchange station based on game meta. the Exchange transactions revenue utilized 100% by buyback and the returns from game is distributed to the BPD holder by betcoin (Known as Chip coin). Now you can enjoy the benefits of returns from the game in BPD as like you have Casino stake. Game income provides airdrop to BPD holder by BET coin. Transaction fee is 100% fully operated by buyback system. 8 countries including Korea, China and Argentina will open in 2019. 50% of Game income dividends for BPD token holder and Lotto, Jackpot system operated. The Token Reward System is the way to return a transaction fee to the user at the time of the transaction by BPD This income-sharing token reward system with Exchange transactions revenue is innovative and secure in terms of revenue growth. BPD has prepared an optimized casino gaming service to ensure maximum profits. After transaction of the game service, the small amount of left over cryptocurrency will provide amusement and pleasure and the profit from game is returned to the investor through the profit-sharing Token Reward system. Starting with the first dicing game, BPD has been composed to be redefined as slot machines, mahjong, horse racing, Go-stops, power balls etc. will continue to expand and add games in the future. .
BPD provides a selected games that enjoyable of expandability is fast and strong and prepared to pay special attention to the illegality through legal advice from each country. will accelerate on the game service establishment that all users around the world can enjoy at ease.